After the high of winning the Premier League at home last Sunday, Chelsea will look to add to the trophy collection by completing the first league and cup double in the club’s history Saturday. 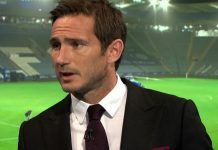 To win the FA Cup, the Blues must overcome a resilient Portsmouth side that have declared administration and will be playing in the Championship next season. Portsmouth are guided by former Chelsea manager Avram Grant, who failed to win the FA Cup in his short time at Chelsea. Grant will have the task of motivating a side that will more than likely be dismantled after the final because of the massive wage bill at the club. On a positive note for Pompey, they will have a full squad available for the final as many of the players have waved bonuses that would put more financial pressure on the club. That doesn’t account for injuries, however, and Portsmouth have Jamie O’Hara, Aruna Dindane, Kevin-Prince Boateng, and Marc Wilson all doubtful due to injury. Portsmouth will have the services of Fredric Piquionne, who is their leading scorer in the FA Cup with three goals. Pompey have also scored 13 goals in the cup this season, with eight players having contributed, including one own goal. Portsmouth’s recent form has been quite indifferent having only won three of the last 12, which includes the win over Tottenham in the semi-final. The south coast side also suffered a 5-0 defeat against Chelsea the last time the two clubs met back in March. Carlo Ancelotti will be looking to further exorcise the ghost of Jose Mourinho by doing something that even the Special One couldn’t do in his time at Stamford Bridge. Paulo Ferreira is on standby at right back, as Branislav Ivanovic picked up a knee injury on Sunday. The Blues also survived an injury scare to captain John Terry. Terry suffered a foot injury during midweek training and it was initially feared that he had suffered the dreaded metatarsal break. Scans showed no break and he should be fit to play in the final. Chelsea’s leading scorer in the FA Cup is Daniel Sturridge with four goals, however he will more than likely start as a sub. Didier Drogba, the Golden Boot winner in the Premier League, has scored a goal in every match that he has played in the new Wembley. Chris Foy will take control as the match official.